Back home there are some seriously a-ma-zing Christmas light displays. The only thing we’ve found remotely close to them where we live now, is actually in Louisville, KY at Lights Under Louisville. They hang millions of lights from the man-made cave ceiling, create scenes with both wooden and inflatables and you can enjoy them ALL from the comfort of your own vehicle! That’s right! You can literally drive the several miles through the caves in the evenings from Thanksgiving to New Years. If you live within driving distance and can make the trip…it’s totally worth it! As a child I remember going on drives, multiple drives, with my parents each year. We loved driving around town and looking at the lights. 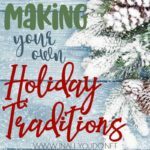 Sometimes we would even make up games to see who could find the most snowmen, or the a house with all one color of lights. Those are memories I will cherish forever! And now I want to create some of those same memories with my own children! For the last several years they have also enjoyed driving around to look at the light displays in our area. But this year I wanted to go one step further and give them an incentive. Scavenger hunts! Take a car ride! 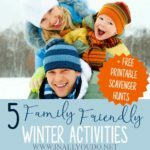 If your family loves to take drives and see all the light displays around your area, this fun Car Ride Scavenger Hunt is perfect! It is also general enough (spot a house with blue lights) that your little ones can join in the fun! Watch the lights! This scavenger hunt has some of the same items as the car ride page, but there are plenty more to find! 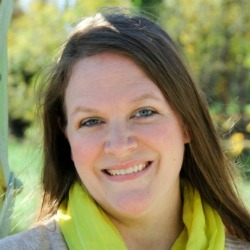 Use this page with your older kids and have them find these items. But they only count if they are made from, covered in or done with lights! Take some selfies! Selfies are all the rage right now, so why not add them to your scavenger hunt! Give this page to your teens, small group or family members and see who can take the most selfies with the items on this list! They bring people together! 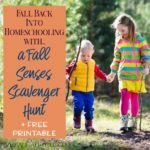 I remember doing scavenger hunts growing up and they remain some of my best memories. Whether in a small group from church, with my friends, or family, there was always lots of fun and laughter along the way! They’re FREE! Other than the cost of printing the pages and possibly some gas for your car, scavenger hunts don’t cost! Consider sharing the cost of gas if you’re going in a small group to help make it even more affordable! With your family! One of our family’s traditions has always been to go out and look at Christmas lights on Thanksgiving night. This is typically when big displays turn their lights on for the season and it’s always a great way to unwind from the busy day. With your friends! Gather a group of friends to take off and explore your town together. 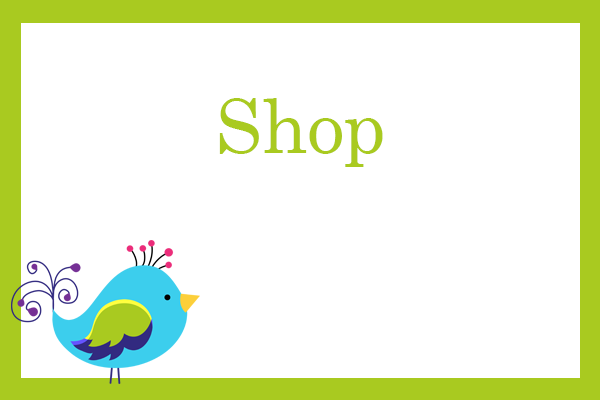 Enjoy some time touring the city while you mark off items from the lists! 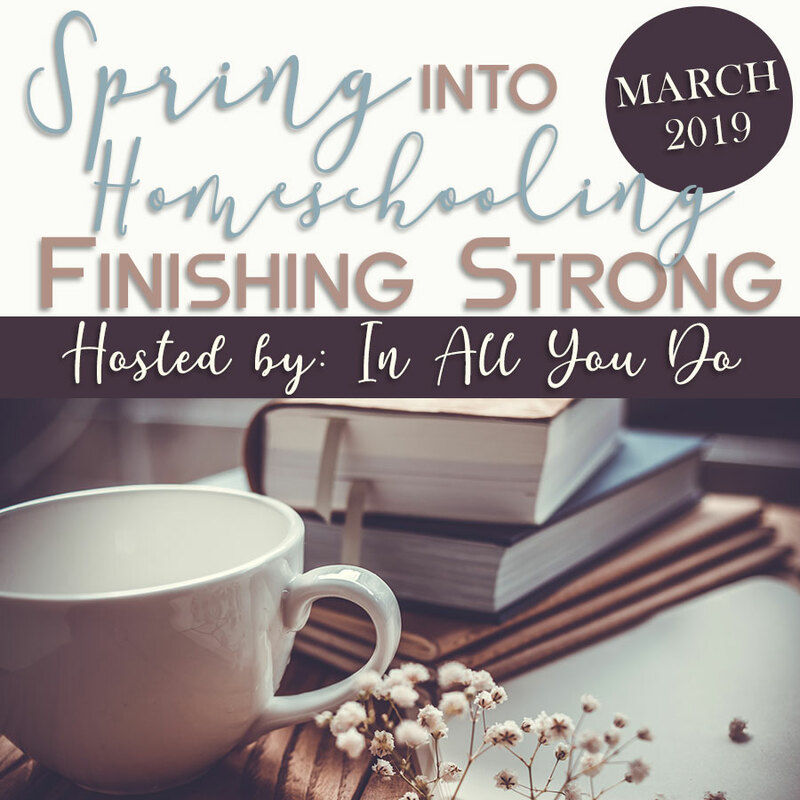 Make it a Girls/Guys Night Out event with dinner too! 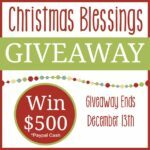 As a Christmas party game! 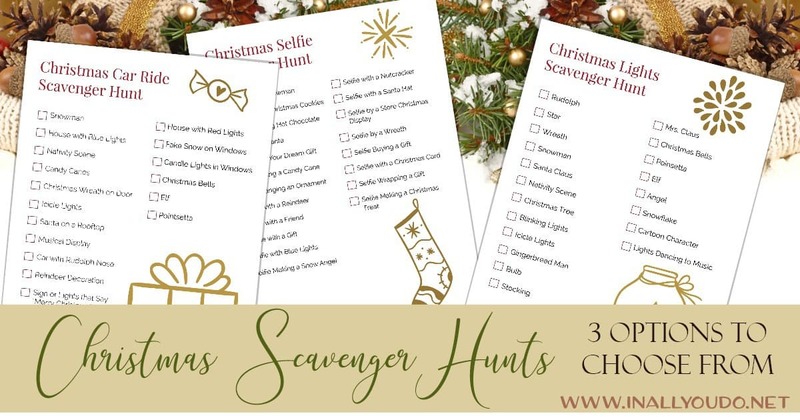 If you have a Christmas party, why not add some additional fun with a scavenger hunt! You can divide up in to small groups by drawing numbers, split in to guy/girl teams or just group yourselves together randomly. Whatever you choose, you’re sure to have a blast as you go on your search! 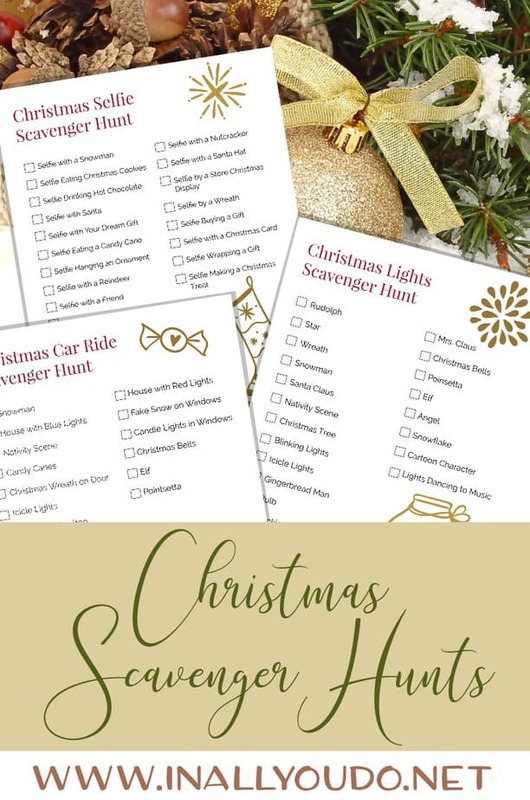 Whether you take a small group or just your family, these Christmas Scavenger Hunts are sure to create memories that will last a lifetime! 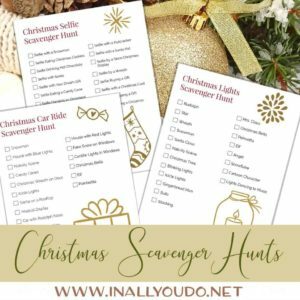 Now thru November 21st, 2018, you can download these Christmas Scavenger Hunts absolutely FREE!! After the 21st, the price will go up to $.99! Don’t forget to check out our Christmas Planner & Christmas Baking Planner – FREE for a Limited Time only!